It’s been a long time since I’ve done one of these but in light of the Sarah Lane, Black Swan, Natalie Portman debacle, I felt compelled to dust off my soapbox and sound off on the topic. In cased you missed it, link here to get the full deets on the body double with too much mouth and too much time on her hands. For starters, I think it’s necessary to call out a major discrepancy in Lane’s story- you know the part about how Portman never mentioned her in interviews? Click here and here to reference. Furthermore, even if she didn’t bother to mention her in interviews, she was a body double. No more, no less. Did Tom Cruise mention his Mission Impossible stunt double during his press junkets? Will Smith? Bruce Willis? Any action star who leaves the difficult stunts to the paid professionals. Paid professionals who understand the nature of the job. Paid professionals who don’t go blabbing to the press when they don’t get their shine because they know that they aren’t the star of the film. Lane claims that Fox Searchlight basically put a gag order on her until after awards season because “They wanted to create this idea in people’s minds that Natalie was some kind of prodigy or so gifted in dance and really worked so hard to make herself a ballerina in a year and a half for the movie, basically because of the Oscar. It is demeaning to the profession and not just to me.” Her words. Seriously Sarah? Seriously? 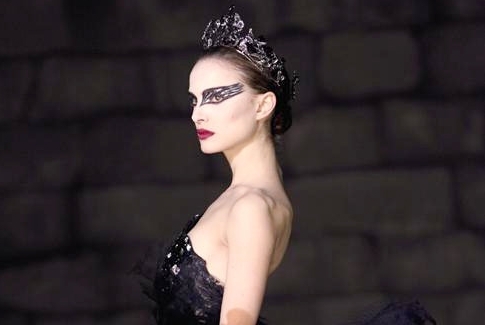 I would question any person’s intelligence who thought that Portman became a prima ballerina with only a year’s worth of training. The training was simply to allow her to look, feel and move like a ballerina, not actually be a ballerina. Which is where you came in, Sarah. The unsung hero, who instead of taking your paycheck and delighting in the fact that you were able to work with a future Oscar winner, decided to go ramble like a lunatic to anyone who would listen about how you were apart of some major cover-up conspiracy. So unprofessional. While I agree that your credited status on the film as Lady in the Lane is a bit questionable on Fox Searchlight’s part, that still doesn’t give you the right to go around bashing Portman, someone who sang your praises in numerous interviews while promoting the film. Honestly, at the end of the day she is still an Academy Award winner, an award typically given out for acting not dancing, while you just look crazy and bitter. Maybe you should take a page out of Kimberly Prosa’s book, the other body double that you somehow failed to mention in your recent press tour, who’s rightfully on mute and basking in the fact that she was in an award-winning movie. Did I mention that she is also credited on IMDB as a stunt double and not as Lady in the Lane #2? Interesting. *blank stare* this chick is buckwild right now. who gave her mic? Exactly! I was gonna let her make it but she can’t seem to keep her mouth shut.